Castores Movers believes that moving into a new home or to a new office space should be affordable. That is why these professionals offer their expert talents at relatively cheap prices. They can take care of the entire move themselves or work under your instruction. Essentially they will do whatever you need them to do in order to eliminate the stress of moving all of your things to a new location. Enjoy working with a company that is totally dedicated to your satisfaction. Carter Moving and Delivery is a local moving company that has helped countless Texas residents move their furniture and possessions into the home of their dreams. 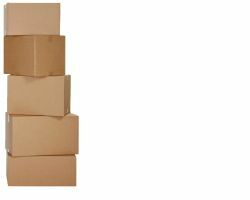 These house movers aim to take the stress out of moving by working in a highly organized way. Since 2008, this approach to moving has left each of their customers totally satisfied, which can be seen in the many raving reviews. These hardworking movers and packers will have you settled into your new home in no time. Once you have decided to move there will be countless things to do and stay on top of. You need to set up everything like power at your new home, find the local school, and everything else that comes with a move. Hiring the professional movers at New Caney Movers can help reassign a few things on your to-do list like packing and moving. As one of the best moving companies in Conroe, TX, these experts know how to make a move as stress-free and easy for the homeowner as they possibly can. Whether you need a company for a residential or commercial move, AAA Moving is always there to help their clients relocate. There is no need to hire one of the nationwide moving services when you can work with this friendlier and more efficient locally owned company. They offer personalized care that means your possessions will be cared for as if the items belonged to the movers themselves. This is an especially admirable trait in a moving company when you have something as precious as piano or antique furniture that needs to be moved. 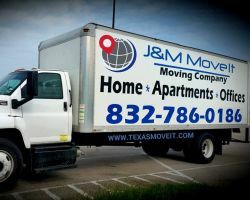 If the most stressful part about moving to a new home for you will be the actual packing and moving of your things then there is a clear solution: J & M Move It. 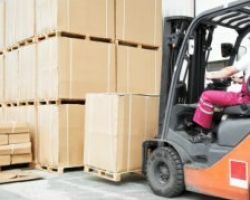 These Conroe movers can help you move the entire contents of your home, apartment, office or storage space to their new location safely and securely. 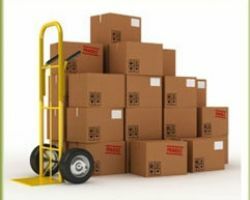 You will be amazed at how professional the movers are and by how quickly and efficiently they are able to work.